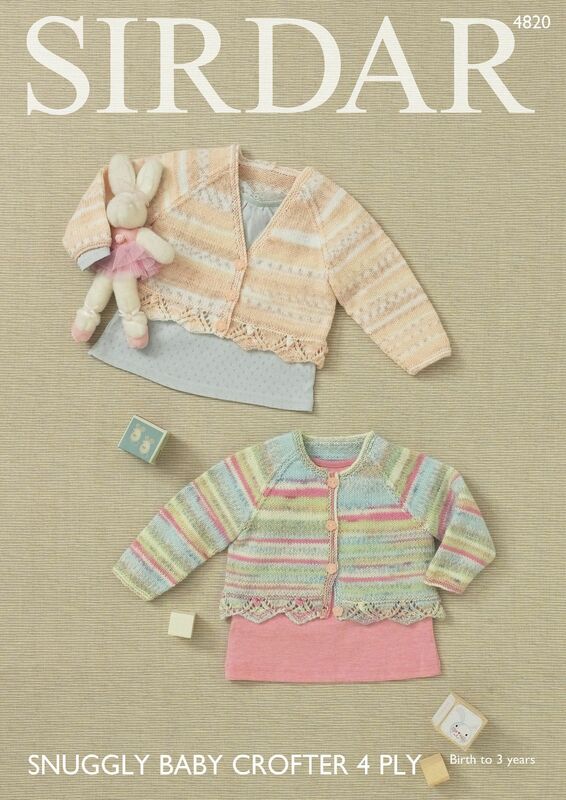 Round Neck and V Neck Cardigans in Snuggly Baby Crofter 4 Ply. A 3.25mm (UK10) 80cm Circular Needle and a 2.75mm (UK12) 80cm Circular Needle are an optional requirement. Stitch Holders are also required.